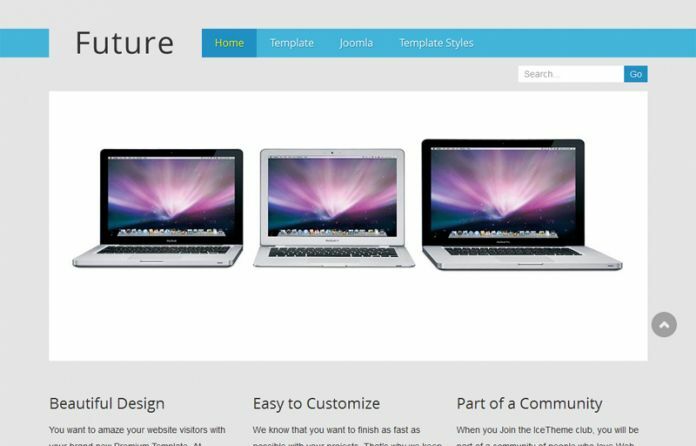 Technology is evolving quickly, web design is evolving, Joomla is evolving and IceTheme is rapidly evolving too. The new version of Joomla (3.0) has many significant improvements like new Administrator panel, a smooth installation process, security improvements and most important in term of design, responsive design. This new trend which at the moment is changing forever the way web design works makes possible that your website looks more than fine across different devices like Wide Monitors, Tablets and Smart Phones. 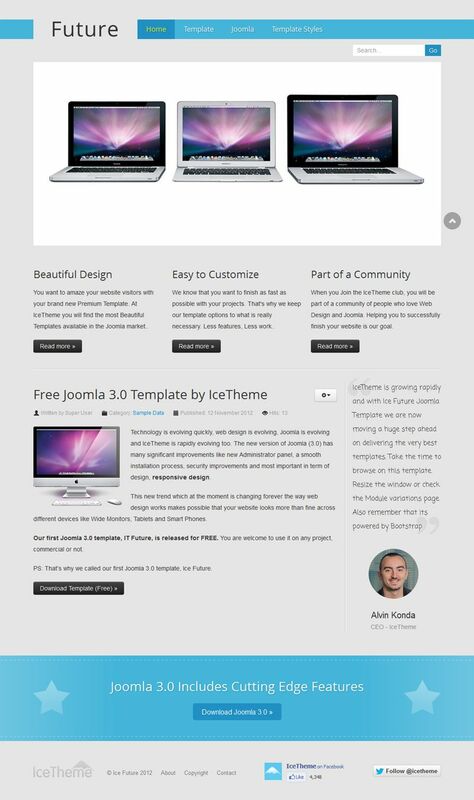 Our first Joomla 3.0 template, Ice Future, is released for FREE. You are welcome to use it on any project, commercial or not.